The population of Martelle Iowa is in the neighborhood of 350, so one could use the phrase thriving metropolis comfortably. We do not have door to door USPS delivery, which is a little bit of a bummer, but it does have a tremendous upside. The excitement I get when I hop in the care and drive all the way across town to check my post office box. It is almost like Festivus all year round, without the pole or ‘airing of grievances’. Actually I don’t care for mail, but last Thursday I made several online purchases. 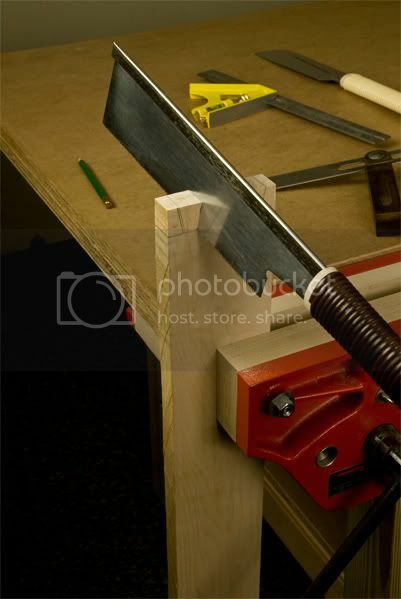 En route to zip code 52305 was a brand new Japanese hand saw, which was rated ‘Best Overall’ by Fine Woodworking. I also ordered, from another site, 8 DVDs and 2 books. Since I ordered them both on Thursday of last week, and didn’t choose any of the fancy pants options with regard to shipping and handling, I didn’t expect them until the middle of the week. As a rule, I am more of a average pantaloon shipping sort of guy. So imagine my surprise when there was a long rectangular box waiting for me. 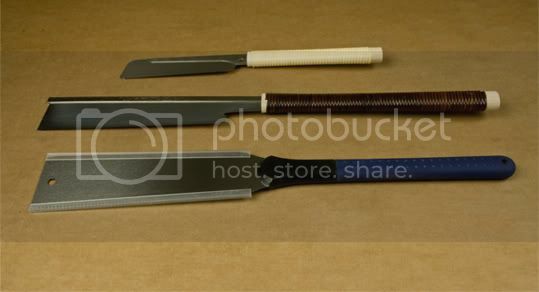 After I explained at length, to the Martelle postmaster, what a Japanese hand saw was, and why I am much cooler for owning one, I headed back across town. I drove down the main street, past the Football Stadium, around the Mega Mall, cut across the parking lot to the Subway, and finally after a few more turns, arrived back home. Ok, I may have exaggerated the length of my trip, and some of the sites in Martelle, but you get the point. Though it is a short trip, I was eager to try out my new saw, and what took 4 minutes, seemed like it took well over 5 minutes. I don’t know how to cut a dovetail. I don’t know how to mark them. I have picked up a couple of tips, but that is all. Safety is important. I always read the instructions before trying any new tool. This, of course, goes against the ‘guy code’, but I do it anyway. Luckily for me it is a hand saw, and were there instructions included, they would say, Step 1. Pull, Step 2. Push lightly, Step 3 rinse and repeat. Oh wait, that last one was from my Japanese hair conditioner. I digress. Not wishing to face the wrath of an angry woodworking deity, I quickly marked the tails on a piece of hard maple and clamped it in the vice. I took great care to mark the waste areas with a ‘w’ so I would not chisel out the wrong bits. I have read that one should cut close to the line and then pare it up the rest of the way, to get a nice fit. One of the problems that ‘amok runners’ often face is that they blunder. I made a blunder worse than 1. e4 e5 2.Nf3 d6 3. Bc4 Bg4 4.Nc3 a6 5. Nxe5 and black taking the queen on the 5th move. Today I was playing black. I took such care to mark my tails and then I immediately cut on the wrong side of the line. Oh well, that is why I am determined to practice these skills before I try them on something I care about. I am happy to report that the saw rated ‘Best Overall’ is a wonderful cutting device. The kerf was thinner than Kate Moss. The saw cut a really straight, albeit poorly place, line. Ok, now it is time to do some more practicing, I think I will work on the Sicilian Dragon and thus avoid the possibility of a blunder on the 5th move. LOL…Now that is a great woodworking tip. You screwed up on cutting your first dovetails? You will NEVER be a successful woodworker. I see you are from DC, did you make it to the Greene and Greene exhibit at the Renwick last year? It was fantastic, I went 6 times. You have not made a mistake until you cut the pins. The tails are just a template for the pins. The thing to aim for is cuts that are square to the faces of your board. You can adjust them square by light paring. When you go to cut the pins split the line towards the waste side keeping the vertical cut square. Keep on…. What I am trying to imagine is how you find the time to post these missives each day without skipping one or two for a smoke or something … of course, it will be harder when the weather warms up. Beware breaking the ‘guy code’. It has consequences. Funny stuff! Keep on trying! Thanks for keeping us updated. The great thing about practicing dovetails is that they take very little material. Just cut an inch or so off the end and try again. I stand corrected. I guess with all the hustle and bustle in this major urban landscape I miscounted. Noted! It is called a teaser…you will just have to read today’s blog to find out. Aren’t I tricky? !